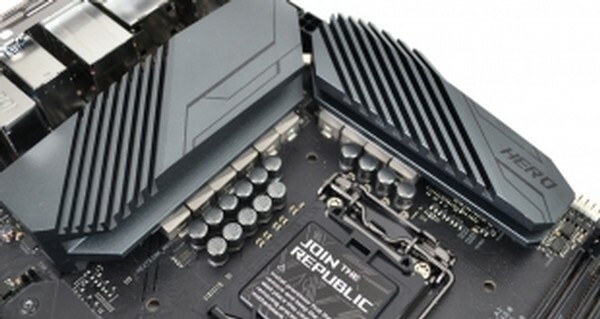 Review of the ASUS ROG Maximus XI Hero Wi-Fi Z390 Motherboard. Positioned towards the upper end of the Z390 market, ASUS is targeting deep-pocketed enthusiast gamers with its most affordable ATX ROG Maximus offering. Sporting features you'd expect from a premium Z390 offering, including dual heatsink-cooled M.2 slots and an eye-catching design, ASUS takes the standard ROG Maximus XI Hero and adds a 2x2 MU-MIMO 802.11ac Wi-Fi adapter. The aptly named ASUS ROG Maximus XI Hero Wi-Fi hits the shopping basket at around 280 GBP - a territory that ensures stiff competition from ASRock's Z390 Phantom Gaming flagship in addition to well-equipped Gigabyte and MSI offerings. Asus ROG Maximus XI Hero Z390 Motherboard kaufen.